BBQ Concepts is the next generation of custom outdoor kitchen design & fabrication. We combine beautiful outdoor kitchen design and high-performance cooking & grilling equipment to produce the ultimate standard in outdoor living products. If you’re in the market for an outdoor kitchen manufacture, look no further than the BBQ Concepts team. We’re confident that we can take your unique outdoor living area and transform it into an amazing place where you’ll be able host family and friends, for many years to come. We develop all our outdoor kitchen creations with the assistance of CAD (Computer Aided Design). Through technology, we’re able to present design concepts to our clients before we ever start the construction process. Leaving very little room for problems, misunderstanding, or errors. Our process is top notch and results in amazing outdoor living products. We’re one of the largest professional barbecue grill & BBQ Island accessory retailers in Las Vegas, Nevada. Our location showcases some of the top grill manufacturers in the industry. Grill brands such as Lynx, Alfresco, Sedona, Firemagic, DCS, Summreset, and many more. 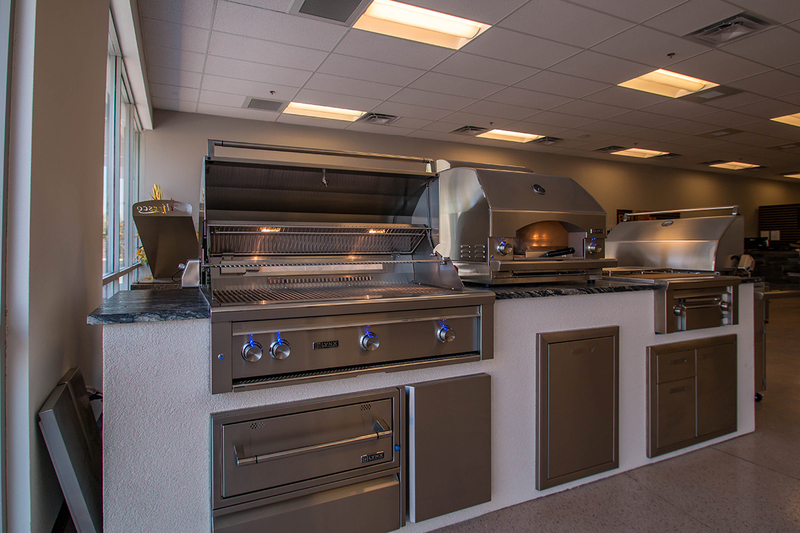 We invite you to stop in to our physical showroom and speak with a BBQ Concepts professional. Our team is ready and willing to help you choose a professional outdoor grill for your custom outdoor kitchen. From concept to completion, BBQ Concepts is your local Barbecue Grill superstore. Need a custom BBQ Island and outdoor living area? Don’t wait, give the professionals here at BBQ Concepts a call and schedule an on-site consultation.